That's a great idea! 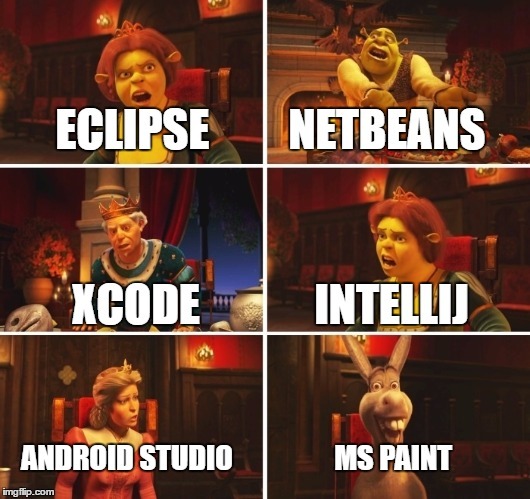 Because of the tremendous support I have received on this project, I'll be updating MS Paint IDE with some Ideas to make it much faster and add multiple class support/libraries and such, and then I will have more... Platforms per say I'll be working on. Non-Windows users will not be left out! powerpoint will be a lot easier to maintain, so why not that? MS Paint brainfuck when? Each coloured pixel has its own instruction. Too bad it wont work with the creators update. This is probably the smartest thing I've seen in a long time. Why not? Ms Paint is still here, it's just deprecated, that's why I suggested moving to paint 3d. Just an update for everyone, MS Paint IDE Version 1.1 has been released! In this version, you can compile your project into a standalone .jar, with choosing files to be placed inside the jar as well (eg. Manifest, plugin.yml, etc. ), and best of all a "probe" mode, which makes image parsing/scanning over 10x faster. If anyone is interested in how this works just ask, because it doesn't recognize lines an odd length apart, eg. if you have all line spacings 10px high. Thank you, everyone, who has been commenting and liking this project, I never expected this amount of support. I expect another release in the next few days adding support for multiple images at a time, to be able to make any project you can think of. After that, I might start the development of some more highly requested "IDEs", so stay tuned! Just released the update for multiple class reading and compilation, combined with libraries, you can create virtually anything! I have already created a multi-class test plugin with a command, the sources for the example are in .png format of course in the release 1.2 on GitHub. Thank you, everyone, as always for supporting me through this, all reviews/comments from this have been genuinely nice, which is awesome! 1980: We will have flying cars in the future. 2017: Code Java programs using a Paint program.